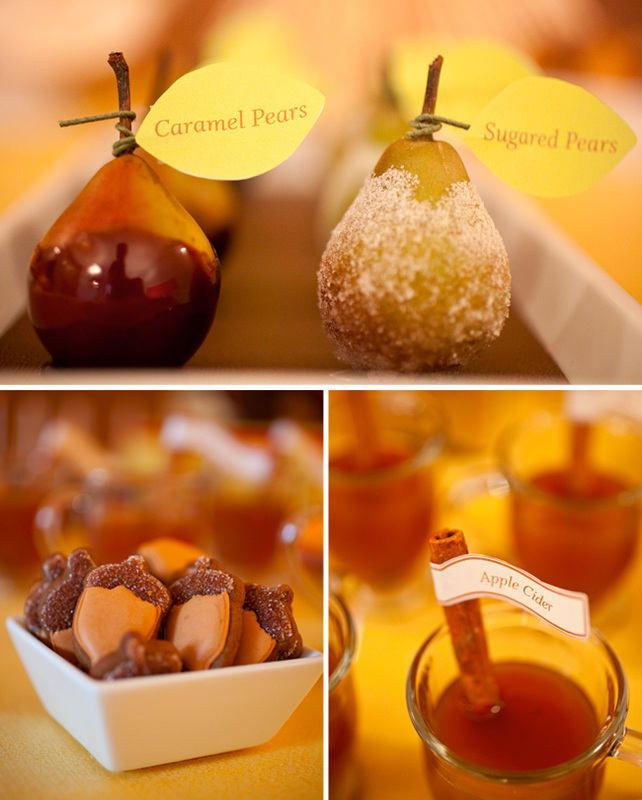 Like many of you, I’m totally smitten with the lovely dessert tables Amy Atlas creates. 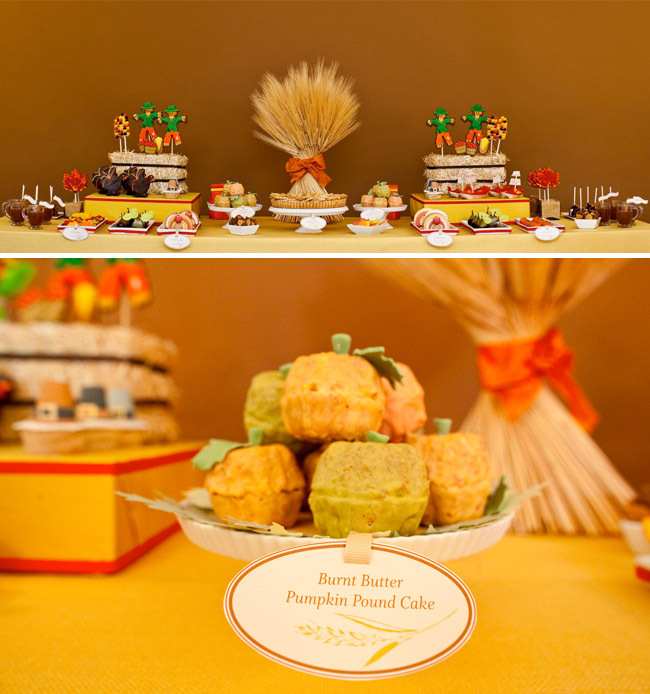 She created a beautiful dessert table for Thanksgiving that is just too cute not to share! So yummy looking and so pretty! 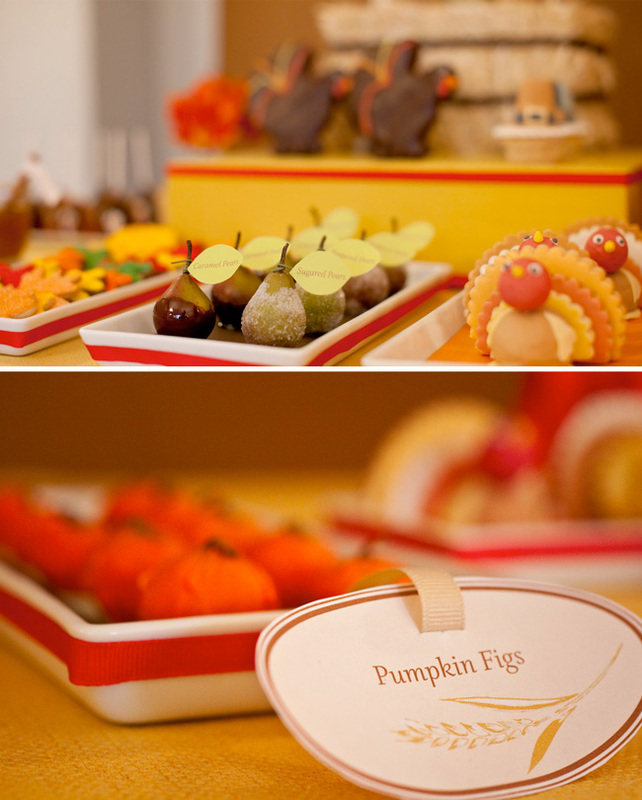 I also love this fall inspired table she created with a faux-bois pattern and acorns as the inspiration for the story. 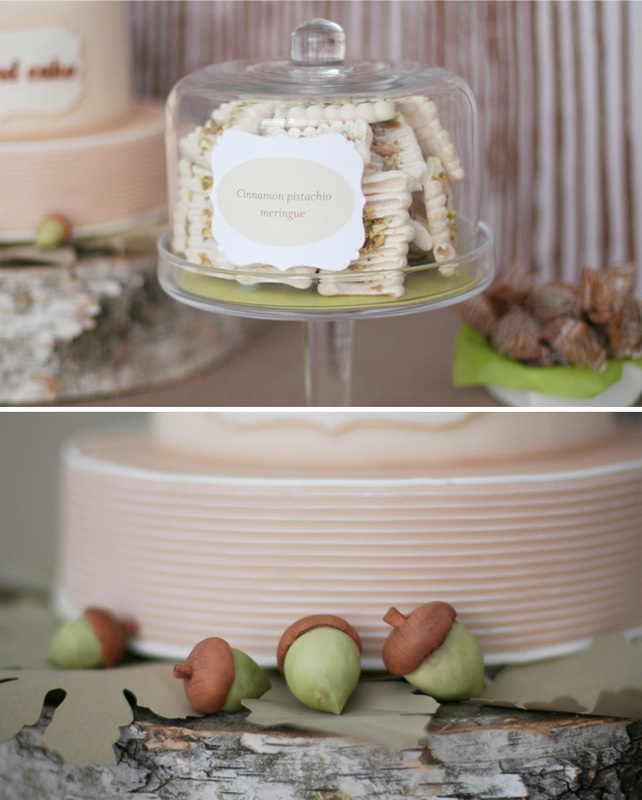 You can even find the recipe for the yummy looking Cinnamon Pistachio Meringue and the acorn garland on her blog! 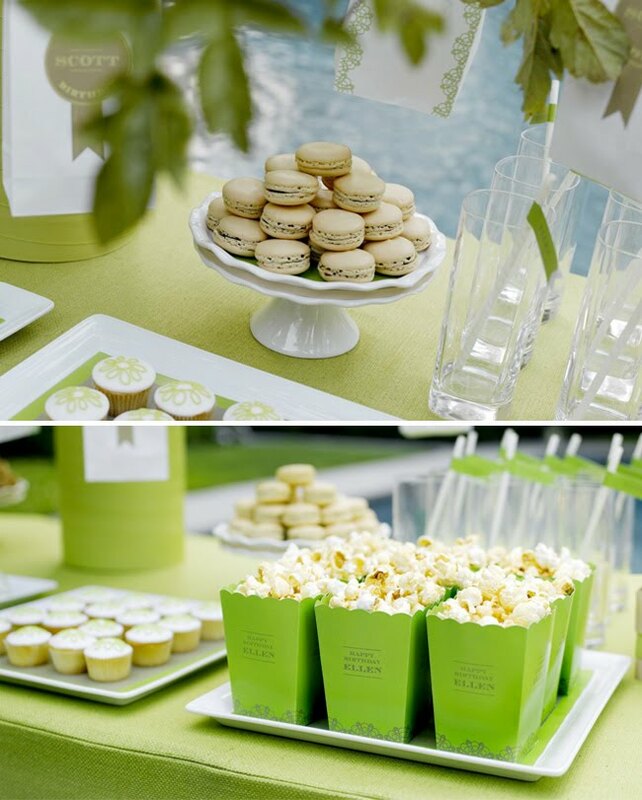 And of course, I couldn’t help but share this fun green table – with macarons and popcorn – my two favorites! 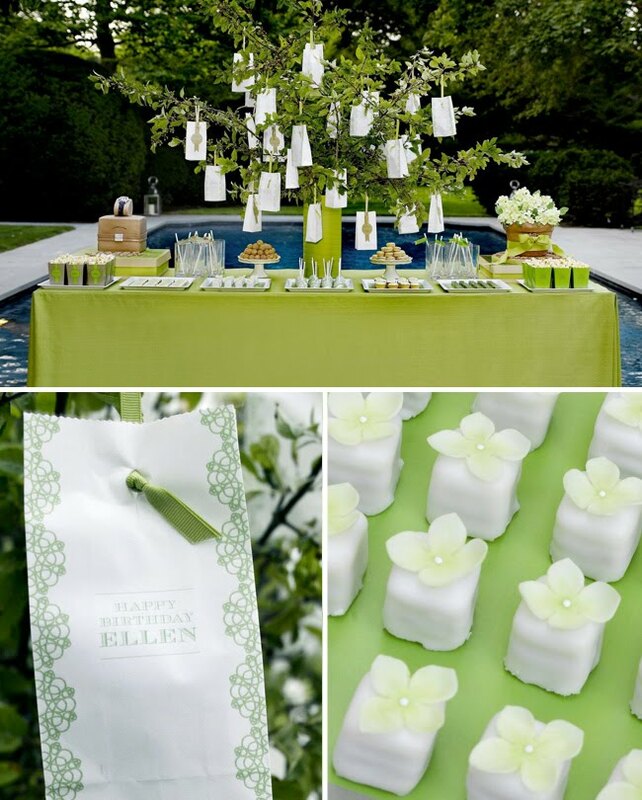 This was created for a birthday party, but how fun would it be for a bridal shower – or even reception?! See more of this table here. absolutely LOVE the second look!! it would be perfect for a woodsy wedding as well! 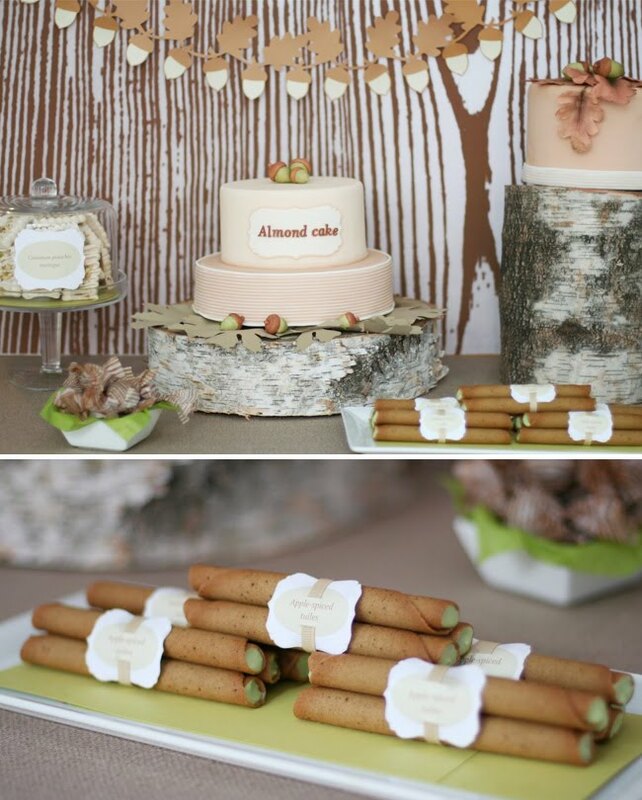 Anyone know where you can get birch stumps like the 2nd dessert table? How adorable are these! I absolutely LOVE the second table, everything looks so delecate and beautiful! WOW! These are Amazing! Love that second one also. I wish I could create something like that first one for Thanksgiving…hmmm..maybe I will try! Thanks for the awesome ideas! oh! My! Gosh!!!! How charming & just absolutely perfect! we love. love. love this. I adore the look of that second table, woodsy but chic!